(Apr 19) The U.S. Department of Homeland Security last week warned that numerous medical devices made by Medtronic are vulnerable to cyber attack. A solution to which is the EQS-HBC recently published. IEEE Spectrum covered our work saying "Medtronic discloses medical device vulnerabilities, while Purdue University scientists propose countermeasure to block attacks". IEEE Spectrum Article. (Mar 19) Our work on EQS-HBC is covered by 50+ news sites. More details here. (Mar 19) Best Paper Nominations in CICC 2019 and HOST 2019. Congratulations Baibhab and Debayan and co-authors. (Jan 19) Paper accepted in DAC 19 and CICC 19. Congratulations Debayan and Baibhab and co-authors. (Jan 19) Paper in Scientific Reports (Nature) is going to demonstrate Physical Security of HBC for the first time. Congratulations Debayan and co-authors. (Nov 14, 2018) CTSI supports Sparc Lab researh on Biomedical Devices. PI Sen collaborates with BME, Purdue and IU School of Medicine. (Aug 16, 2018) SPARC Lab is supported by SMART Films Consortium, Purdue University to develop ULP Sensor Nodes. (Jul 03, 2018) SPARC Lab is going to lead and perform on the DARPA MIDAS program to design mm-wave oscillators. 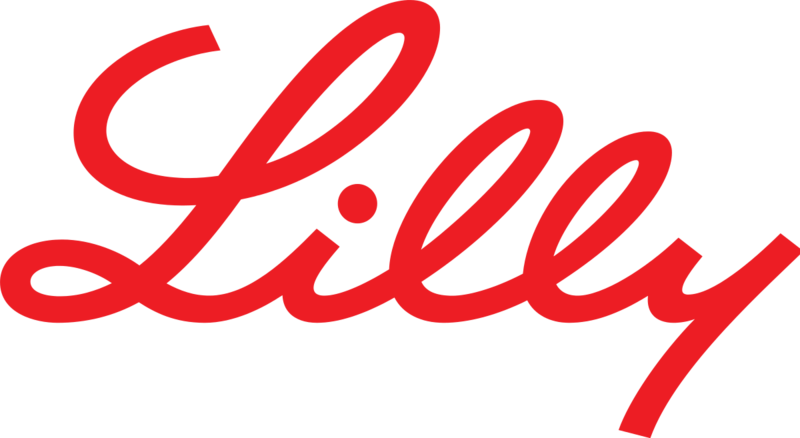 (Jun 01, 2018) SPARC Lab is part of a $52m grant from Eli Lilly and Company to explore Securely Connected BioMedical Devices. USNews Report. (May 11, 2018) AFRL 2030: Prof. Sen was invited to speak at IU-AFRL 2030, that aims to help define the Science and Technology vision for 2030. Discussions with Major General Bill Cooley, Commander of Air Force Research Laboratory, during this event was really inspiring. (May 02, 2018) Best Poster Award: Baibhab Chatterjee and co-authors received 3rd Best Poster Award for paper titled "RF-PUF: IoT Security Enhancement through Authentication of Wireless Nodes using In-situ Machine Learning," at premier Hardware Security Conference HOST 2018. Congratulations to Baibhab and co-authors. This work shows how In-situ Machine Learning could Secure Radio Communication. (Jan 28, 2018) Our HOST 18 paper is going to present a RF-PUF for IoT Security Enhancement using Machine Learning in Radio baseband. Congratulations Baibhab and co-authors. (Jan 19, 2018) Paper in Microwave and Wireless Component Letters (MWCL) highlighting new insights into HBC Channel Models. Congratulations Shovan and co-authors. (Jan16, 2018) Paper in CICC 2018 demonstrating World's Lowest Energy HBC Transceiver, improving the state-of-the-art by 18X. Congratulations Shovan and co-authors. (Dec 29, 2017) Radio Interview on HBC: NPR subsidiary Lakeshore Public Radio published excerpts of Radio Interview on Purdue Human Body Communication Technology. Listen Here. (Dec 16, 2017) Our work on Broadband Interference-robust Human Body Communication was featured by 30+ news sites in USA, UK, Greece, India. We sincerely thank our sponsors AFOSR YIP, NSF CRII Award and Google FRA for supporting this research spanning from basic research to applications. "Purdue discovery clears way for human body to work as robust communication network for electronic devices"
(Oct 30, 2017) Dr. Sen is now a Senior Member of IEEE. (Sep 06, 2017) SPARC Lab is collaborating with and supported by SMART Films Consortium, Purdue University to develop ULP Sensor Nodes. (Mar 14, 2017) SparcLab research is supported by National Science Foundation SaTC program. (Summer: May-Aug 2017) Multiple research/invited presentations at DATE, EMBC, ISLPED, HOST, AFOSR, SRC, ETS, VTS. (Apr 19, 2017) Two papers on Wearable Health Monitoring accepted in IEEE Engineering in Medicine and Biology Conference (EMBC). Congratulations to Shovan, Maryam (NRL) and co-authors. (Mar 09, 2016) Prof. Sen proposes to develop a new Undergraduate course (ECE 395) on Design of Analog and Digital Circuits to bridge a gap in the VLSI undergraduate curriculum. Approved by Undergraduate Committee. (Feb 23, 2017) Prof. Sen wins the Google FRA Award to work on Secure Human Computer Interaction using HBC. Recipient List, ECE Spotlight, Purdue FB. (Feb 1, 2017) HOST paper accepted on Power Side-Channel Attack Immunity (Security). Congratulations to Debayan and co-authors. (Jan 30, 2017) IMS paper accepted on Self-Optimizing IoT Sensor Node (with Georgia Tech ICSRL). Congratulations to Ningyuan and co-authors. (Dec 19, 2016) Prof. Sen joins the Technical Program Committee of IEEE International Mixed-Signal Testing Workshop (IMSTW). (Dec 15, 2016) Prof. Sen joins the Technical Program Committee of IEEE/ACM International Conference on Computer-Aided Design (ICCAD). (Nov 11, 2016) DATE paper accepted on Interference-Robust Human Body Communication. Congratulations to Shovan and co-authors. (Oct 30, 2016) Prof. Sen speaks at Invited Tutorial in IEEE Sensors 2016 on Context-Aware IoT Sensor Nodes. (Oct 08, 2016) SparcLab is awarded an SRC Contract (with Georgia Tech) to work on IoT Sensor Nodes. (Sep 26 2016) Prof. Sen delivers Invited Talk in US-Korea Forum on NanoTechnology on Neuromorphic Computing in CMOS. (Sep 10, 2016) Prof. Sen proposes to develop a new Graduate course (ECE 695) High-Speed Mixed-Signal IC to bridge a gap in the VLSI graduate curriculum. Approved by Graduate Committee. (Aug 24, 2016) Paper published in IEEE Journal of Solid State Circuits (JSSC 2016) on Proximity Communication demonstrating world's fastest and most energy-efficient board-to-board capacitive communication link. (Aug 15, 2016) SparcLab welcomes 3 new Ph.D. students. Gregory Chang, Debayan Das, and Shovan Maity. (Jun 07, 2016) ESSCIRC paper accepted on Hybrid Mixed-Signal Switched Mode LDO (with Georgia Tech ICSRL). Congratulations to Saad. (May 15, 2016) Ataul Karim joins SparcLab as a Ph.D. student. Research Focus: High-Speed Communication. (Apr 30, 2016) SparcLab's first paper on Human Body Communication is accepted in ISLPED 2016. (Feb 3, 2016) Paper presented in ISSCC 2016 on Proximity Comm. (23.2) demonstrating world's fastest and most energy-efficient board-to-board capacitive communication link. (Feb 15, 2016) Welcome to two ECE undergraduate Sophomore students to SparcLab. Xinyi Jiang and Kavian Mojabe. (Jan 11, 2016) Prof. Sen is teaching a large undergraduate course (>250 students): ECE 270: Introduction to Digital Systems. (Jan 04, 2016) SparcLab is founded by Prof. Shreyas Sen, who joins ECE, Purdue after 5+ years of industry experience at Circuit Research Lab (CRL) and Wireless Communication Research (WCR), Intel Labs, Qualcomm and Rambus. Prof. Sen received his PhD. from ECE, Georgia Tech in 2011.